listen to you and put your needs first, no matter the type of case you have. In modern legal practice, it is all too common for cases to be passed off to paralegals or temporary contract attorneys. At the Law Offices of Korol & Velen, we pride ourselves on personally handling every aspect of your case. Our lawyers devote their practice exclusively to family law and can handle any complex or high-net-worth divorce case. 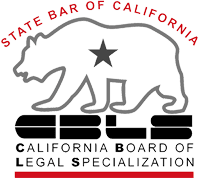 You can be confident that when you come to our boutique law firm for help, an attorney who is certified as a family law specialist by the State Bar of California Board of Legal Specialization will handle your case—from start to finish. As family law attorneys, we handle all aspects of divorce and family law in courtrooms throughout the greater Los Angeles area, the South Bay, and the San Fernando Valley. Our California divorce practice addresses the various issues that must be determined by a settlement agreement or court order. We have the resources and insight to handle high-asset divorces and the complexities of marital property division; child support; spousal support; parenting time (child custody and visitation); and more. Our legal counsel is highly respected and sought out. Our founding attorney, Marina Korol, was asked to comment in an article on CNBC.com on the issue of spousal support with regards to prenuptial agreements. Our legal advocates have also garnered recognitions such as the AV Preeminent® Rating from Martindale-Hubbell® and selection for California’s list of Super Lawyers® and Super Lawyers® Rising Stars℠. Whether your case requires vigorous negotiation, mediation, or assertive representation at trial, our attorneys have the legal knowledge and courtroom experience to protect you and your interests. We also handle problems that can arise after a divorce has been finalized. These matters can include child support arrears, modifications to family court orders, and parental relocations. Our other family law areas include paternity, assistance with situations involving domestic violence, and prenuptial agreements. Whenever family disputes arise or in a divorce, we encourage clients to consider collaborative law and mediation. When alternative methods have been exhausted, however, we vigorously protect our clients’ rights in court.